St. Luke's College and Iowa Central Community College are excited to announce the signing of an RN-BSN articulation agreement. 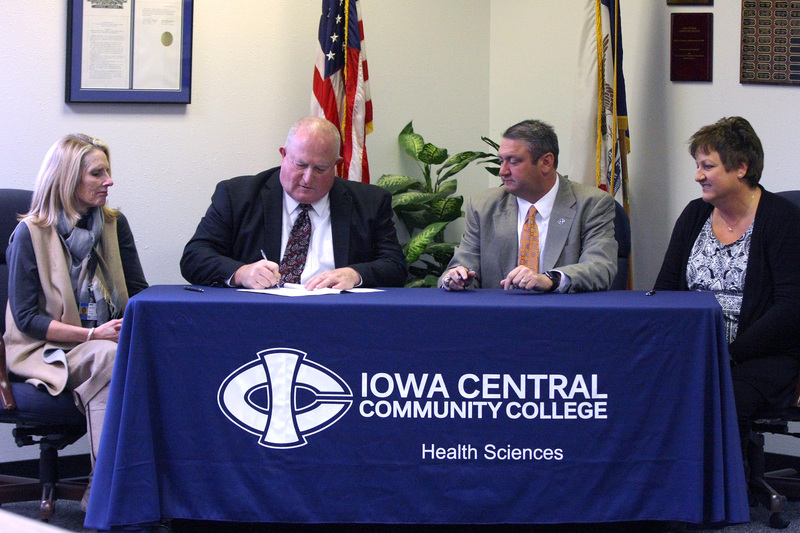 This articulation will provide a seamless transition to allow Iowa Central's nursing graduates to continue on with their education to obtain a Bachelor of Science Degree in Nursing. The RN-BSN degree completion program at St. Luke's College is offered 100% online allowing the working nurse to design a curriculum that works into their professional and personal schedules. For more information on the College's online RN-BSN degree completion program, contact the Office of Admissions at (712) 279-3149.